When I first started teaching, Speaking and Listening meant student speeches and presentations. Unfortunately, assigning students to give presentations took a great deal of class time, and I often only assigned presentations once per quarter. Even then, I still found them extremely difficult to fit in, with all the other subjects that needed to be covered. I wanted a way to assess students' abilities to meet speaking and listening standards more than once a quarter. 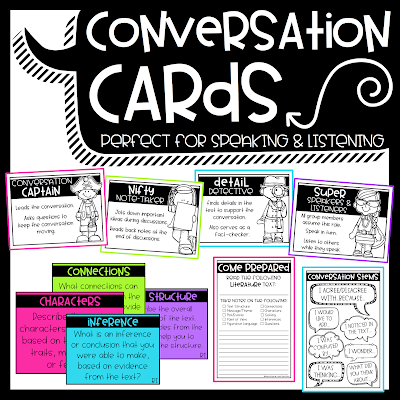 In recent years, I started using Conversation Cards to engage students in conversations and the practice of speaking and listening to their peers. They really helped me to address some of the Common Core standards for Speaking and Listening. According to the standards, students should engage in collaborative discussions with their peers, based on grade-level topics and texts. One of the best ways to do this is to provide students with opportunities to discuss the texts they are already reading in class. Why not kill two birds with one stone, by addressing reading standards at the same time?? The conversation cards that I use, give students the opportunity to discuss both literature and informational texts. 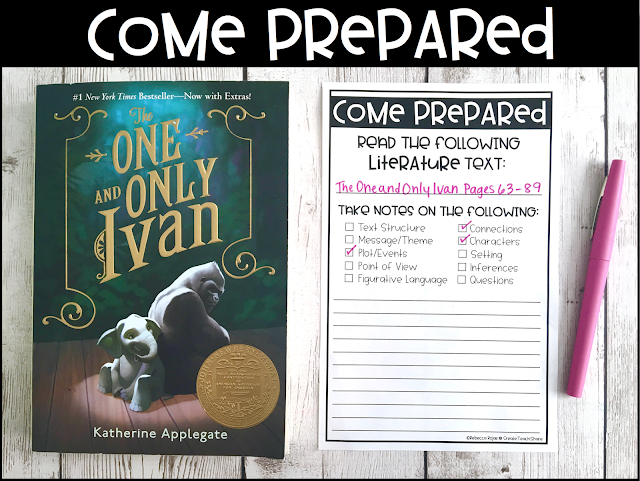 They might be texts that we are reading as a class, texts they are reading in small groups, or texts that are assigned independently as classwork or homework. Either way, these grade-level texts lend themselves to some very meaningful conversations. The first step toward meaningful conversations about grade-level texts is being prepared! 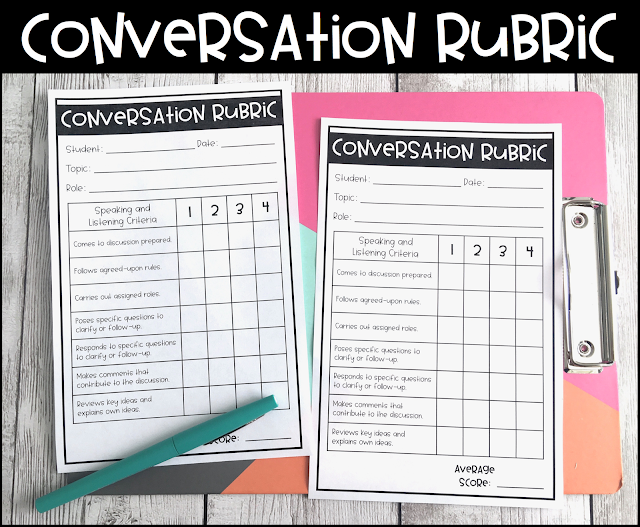 Students should come to a conversation ready to discuss the reading material, and any concepts or skills that will be the focus of conversation. As a teacher, you decide what students will read and what they should focus on. Before discussions, students should read assigned texts and take notes on the necessary skills. You may choose more than one concept or skill in order to cover multiple standards, and to keep students engaged in the conversation. For student conversations to run smoothly, agreed-upon rules and assigned roles should be established. Once students are in groups, they should start by assigning roles. As a teacher, you should decide how this should be done. Will students rotate? Will you assign them based on their strengths in a group? After roles are established, students should establish agreed-upon rules. This is something that you could discuss with the class as a whole group, or you can give groups this responsibility. 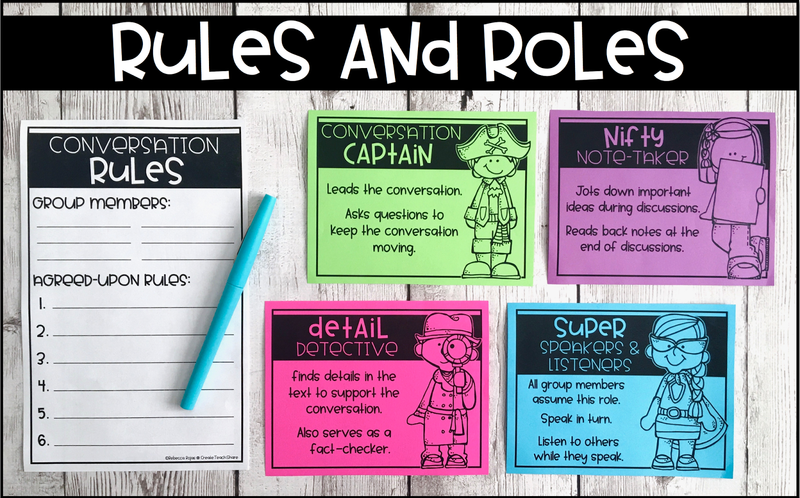 Rules should address when students can speak, how they speak to each other, and other norms that will keep conversations running smoothly and effectively. Students need to be able to ask questions, clarify meanings, and add comments throughout their discussions. 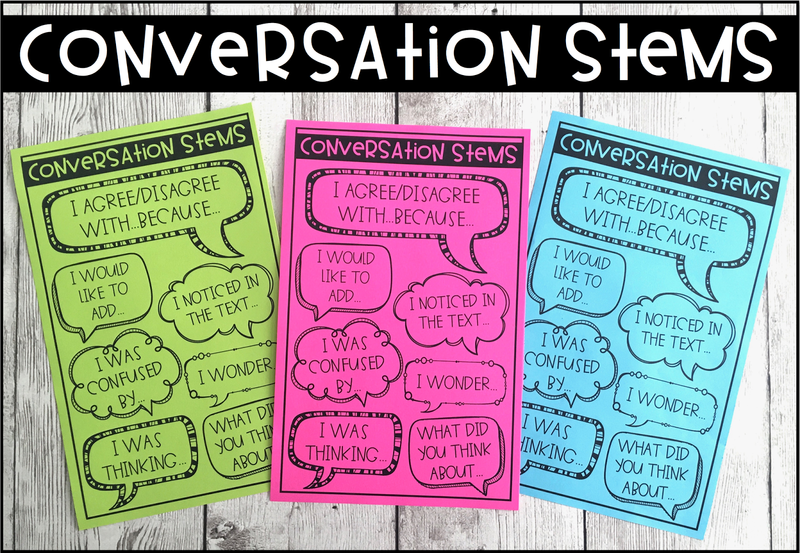 Conversations Stems provide students with appropriate language for interacting with their peers. You may even encourage students to come up with their own conversation stems. Once students are focused and actively engaged in their discussions, this would be the perfect time for you to walk around the classroom and assess their speaking and listening abilities. Use a standards-based rubric to score students on how well they communicate with their peers, share their ideas, and listen to others. 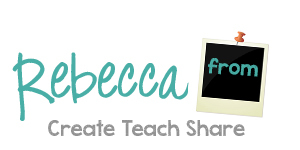 For these collaborative discussions you only need about 15 to 20 minutes a few times a week. Through practice, students will learn how to effectively communicate in a group setting. 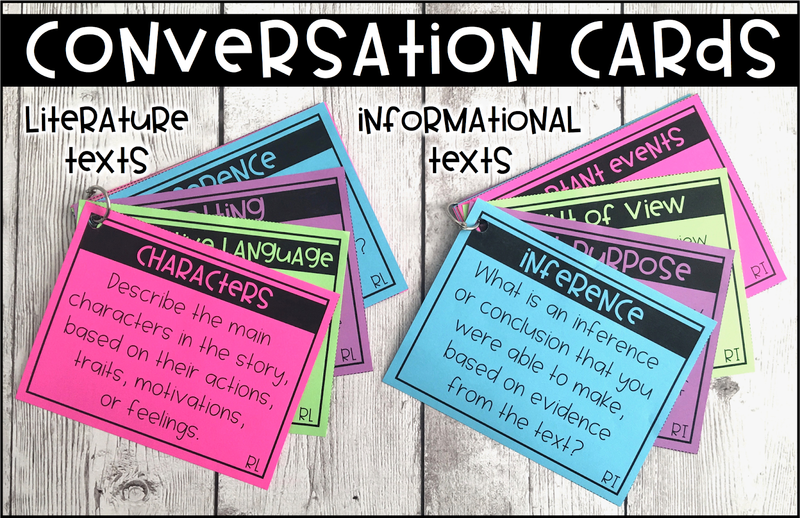 If you would like to learn more about my Conversation Cards, click the pic below to visit my teacher shop.